Steve Prohm landed his fourth commit from the Class of 2016. On Friday, Iowa State landed a commitment from Jakolby Long. The 2016 shooting guard announced his decision via Twitter. The 6-foot-5 Long played with Athlete's First on the grassroots circuit this summer. In 21 games in the Nike EYBL, he averaged 16.2 points and 5.0 rebounds per game. 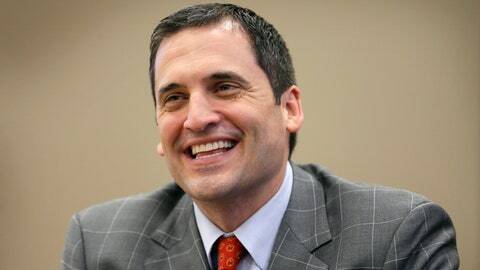 Steve Prohm inherited a Final Four caliber team in June when he was hired as Iowa State's new head coach. However, with four seniors in the projected starting five, he needed to be active on the recruiting trail from the start. Long joins power forward Solomon Young and junior college transfers Donovan Jackson and Emmanuel Malou in Iowa State's current recruiting class.